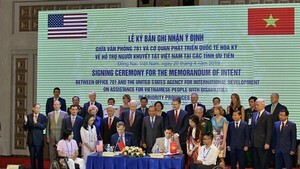 The 7th session of the 12th National Assembly (NA) will open in Hanoi on May 20, focusing on law building and the country’s important issues during 30 days of sitting. 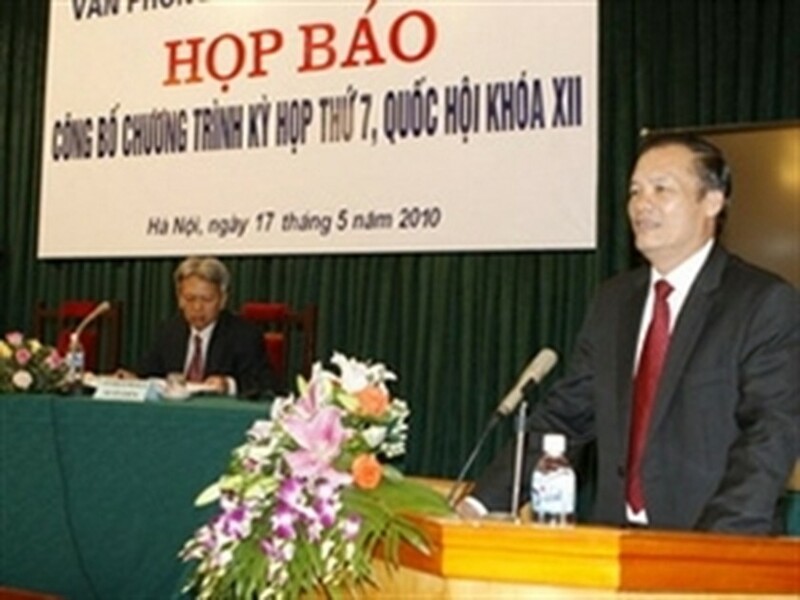 Dung said during the session, the NA will adopt 10 draft laws, including the laws on the State Bank of Vietnam (amended), credit organizations (amended), housing and land taxes, child adoption, enforcement of criminal sentences, the efficient and effective use of energy, disabled people, postal service, trade arbitrator and food safety. The NA will discuss changes to Resolution No. 66/2006/QH11 on national key projects and resolution on the law and ordinance building program in 2011. The NA will consider relevant agencies’ working reports on management and use of social insurance fund, the implementation of the law on gender equity, the poverty reduction results of Program 135 and the integrated implementation of programs and projects in communes with special difficulties in the 2006-2010 period. In addition to the opening and closing ceremonies, several of the NA’s plenary sessions which will discuss the implementation of the socio-economic tasks and question-and-answer sessions will be broadcast live on VTV1 and VOV1.